Here are two harmless critters that make themselves known during summer but unfortunately (for them) get mistaken for mosquitos. 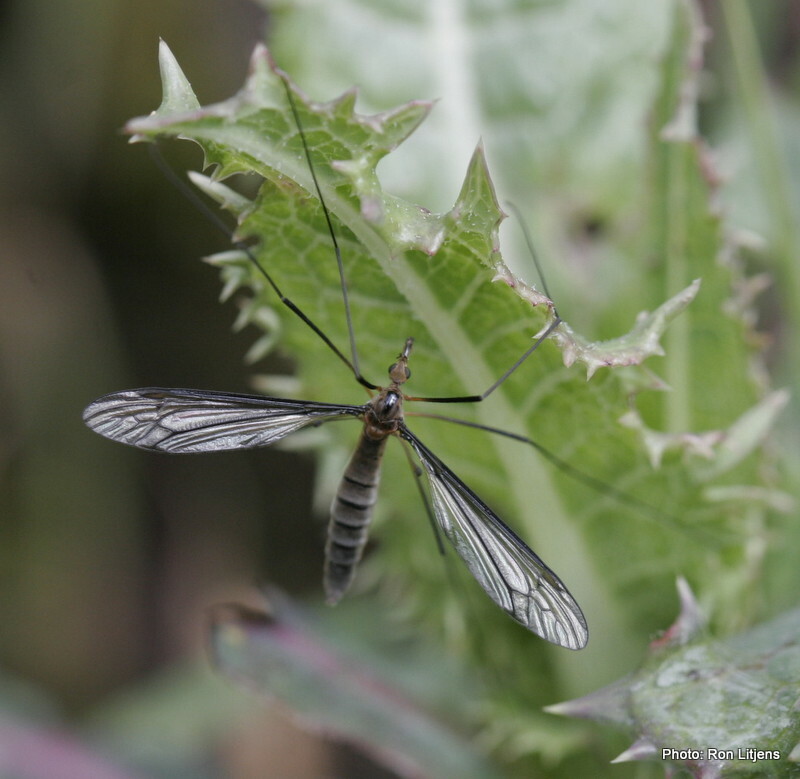 Crane flies are of the order Diptera (from the Greek, di = two, ptera = wings). Like all true flies they only have one pair of wings. Most insects have two pairs of wings, but in Diptera, the second pair has evolved into halteres. In the photo (left), the halteres look like small clubbed antennae that sit just behind the wings. Their purpose is to stabilise the insect in flight, making it more manoeuvrable. Crane flies (family Tipulidae) feed on nectar, if they feed at all. Most adult crane flies exist only to mate. The other mosquito look-alike is the scorpion fly. Scorpion flies are of the order Mecoptera (from the Greek, meco = long, ptera = wings). Having two pairs of wings they therefore are not true flies. They are so-named because the abdomen on the male curves upward like that of a scorpion. Scorpion flies feed on plants and nectar. During mating the males tempt the females by offering them insect treats. While the female is distracted by eating, mating occurs. 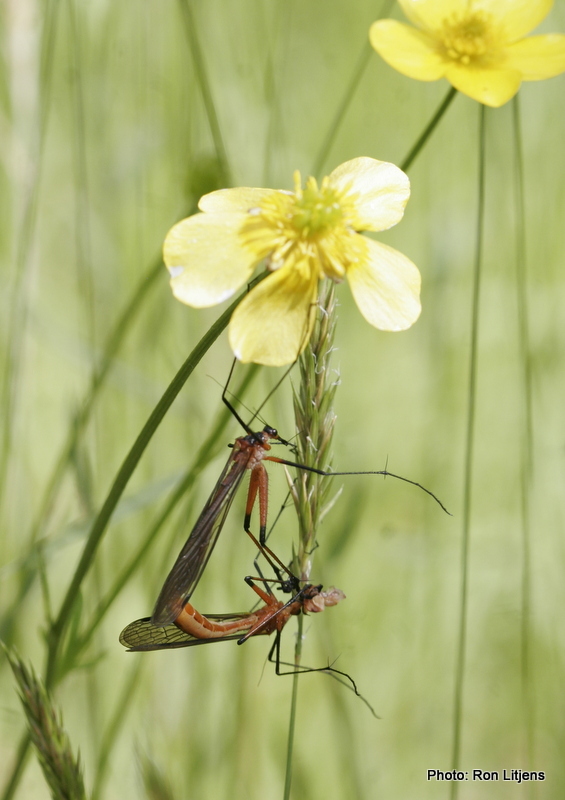 The photo (right) shows the male clinging to an Australian Buttercup (Ranunculus lappaceus) while the female (lower) eats during mating. I’d like to chat longer but I’m taking my partner out to lunch.